Spring is almost here, just days away! That means we are just days away from being able to start cleaning out our flower beads, scooping gutter gunk, and other rituals of spring cleaning. The snow is starting to melt, and homeowners begin to consider how to prepare their homes for a summer of relaxation. The more we accomplish in the spring, the less we must consider during the summer. It is a known secret, winter weather is our homes enemy, especially our roof. Our roofs take a beating in every season, but it is especially rough in the winter, with the snow, melt, freeze, ice, melt repeat process. Homeowners should reach out to professional roofing contractors at least once a year for a spring cleaning and inspections. Regular roofing maintenance helps to increase the longevity of your roofing materials and will improve the aesthetics of your home. Below are some tips the professional roofers at Kearns Brothers recommend to all our clients. Trimming Tree Branches: Any tree close to your home should have its branches trimmed on a regular basis. Tree limbs should not be allowed to touch your roof as they will scrape the shingles and loosen the granules that are in place to protect it. A decrease in asphalt granules on shingling which will decrease the longevity of your roof. Pine Needles and Leaves: A few pine needles and leaves on your roof are fine however, a collection of leaves and needles will cause damage as they hold on to excess moisture. They need to be removed to prevent mold, mildew, and general issues. A build up of pine needles and leaves can also block gutters. To clear your homes roof it is important to be careful not to damage the roofing material. A light air blower will gently remove the debris without damaging the asphalt shingling. Moss is one of the worst elements for asphalt shingles. By cutting back tree limbs and removing leaves homeowners can reduce moss. It is important that sunlight can hit the surface of the roof in order to dry up the moisture that the moss thrives on. There are chemicals that can get rid of roofing moss however the run off can cause damage to the landscaping plants surrounding the home. Zinc or copper trips lining the ridge of the home can also help create an environment where moss is unable to grow. If gutters are damaged during the winter, it is crucial that homeowners fix them before spring rains begin. It is crucial that water can flow through the gutters and away from the home’s foundation. Loose gutters must be secured in order to function properly. A complete inspection of your shingles, chimney’s, and flashing should all be inspected and maintained yearly by a professional roofing contractor. While a contractor is performing a roof inspection, they will look for missing shingles, damage to your chimney, flashing, and vent issues. Correcting these issues in a timely manner ensures your roof is good to go for many Michigan seasons. Let’s face it, your homes roof is not an everyday priority. As homeowners we lose sight of the essential exterior elements that are important in safeguarding the interior of our homes. It is crucial however, that we do take the maintenance and care of our homes roof serious. 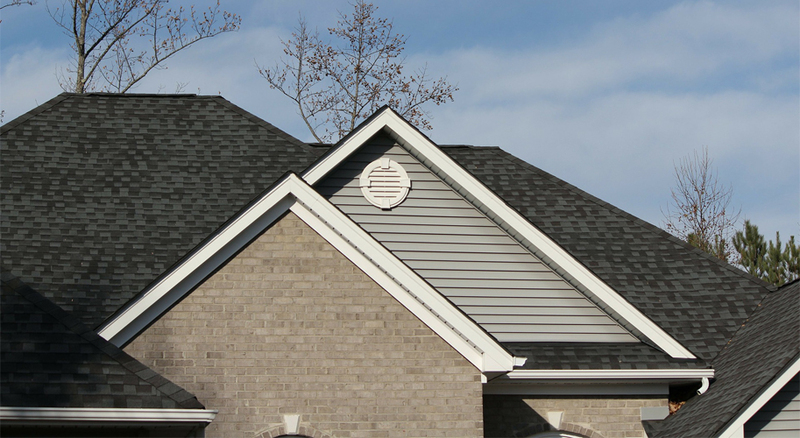 Asphalt shingle roofing is designed to protect your home. In order for it to perform its job regular roof inspections are needed to ensure it is functioning properly. Inspections of your homes roof should be done twice a year. Maintenance and repairs should follow when necessary. This will allow your roof to remain at peak performance. Professional roofing contractors are experts at identifying issues with your roof that will lead to interior issues with your home. It is important to hire a professional contractor to inspect the exterior elements of your home at least once every few years. It is crucial that you as a homeowner take time during the spring and fall seasons to do your own roof and exterior home inspection. Before you purchase a home, it is crucial to have the home inspected and a roof assessment performed. A professional roofing contractor will inspect and report on the future of your roof. This information gives you insight on repairs that are needed immediately, will be needed in the future, and how much longer you have before a full roof replacement is required. When looking at the exterior of your home and are considering renovations remember to take a look at the landscape. Trim branches and large trees that overhang your roof. This will prevent the shingles form scratching and gouging roofing materials. Trimming back trees and branches helps to prevent damaging and puncturing the materials used on your roof. Keep your homes gutters clear. 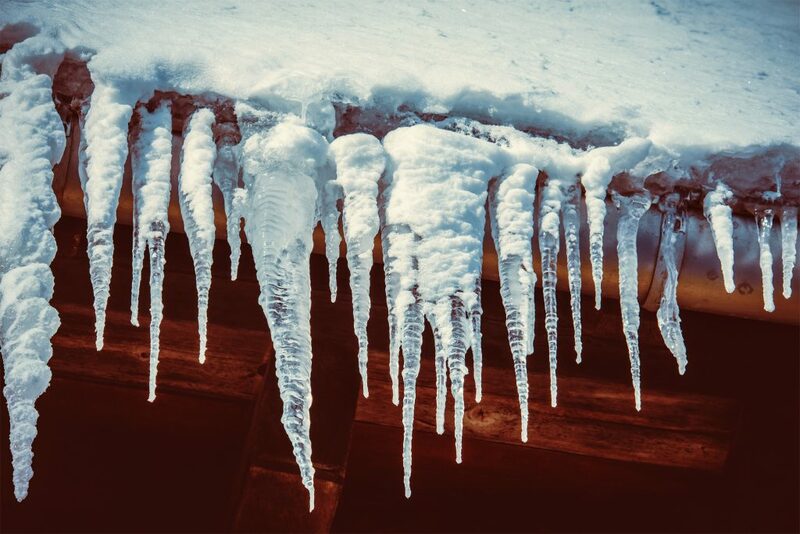 This is especially important during the winter season to help prevent roof damns from occurring during the thaw and freeze that occurs throughout the season. If leaves and debris are allowed to build up, your gutters will no longer freely flow, and these backups will occur. Allow your roof to breathe by adding in proper ventilation if it is not already set up correctly. Heat and moisture needs to be released from the roof to prevent the sheathing and rafting to breathe. Without this in place the roof with buckle and the insulation will lose its effectiveness. This causes the roof system to be ineffectual. Proper insulation protects the longevity of your homes roof. Your home needs protection from heat gain and loss. The most ideal situation is to include a gap-free layer of insulation on the attic floor along with vapor retarder under the insulation next to the ceiling. This will help stop the moisture from rising into the attic. Properly placing vents in the roofing will allow air to pass freely which also helps to prevent issues with your roof. Roofing is prone to the build up of debris, streaks, mold, algae and fungus. When left untreated this causes a great deal of deterioration in the materials on your roof which in turn shortens the roofs lifespan. One method that is effective in preventing these issues is to install zinc strips along the roof ridge. The zinc will protect against the growth of fungus, moss, mildew and algae. Your homes roof is the most important element in creating structural integrity of your home. Taking time to do bi-yearly inspections will help preserve and protect your home for years to come. Do you think you could tell if your roof only needed some repairs or if it was time to replace your homes roof? There are quite a few flags to look for before calling in a professional roofing contractor. You don’t necessarily need a brand-new roof just because you have spotted a leak in the ceiling. The leak could have occurred due to a number of different problems. There are a number of factors to determine whether the problem with your roof requires repair or replacement which can be found below. Consider the age of your existing roof. Roof contractors estimate that asphalt shingle roofs can last upwards of twenty-five years especially when well maintained. A properly ventilated roof is important in the roof’s longevity as well. If a shingle roof was installed over another layer of shingle roofing and is over twenty years old, there are chances you will need a new roof sooner than later. If you notice the shingles on your roof are buckled or starting to curl it may be a sign that you need a new roof. To get a good look take a look at the shingles in the direct sunlight. If you notice they are curling, losing granules, or are buckling it often means that your shingles have exceeded their life expectancy. When this occurs in older roofs it is a sure sign that you need to replace your roof. If your roof is falling apart or shingles are missing, there is a good chance you may be looking at a new roof. It is important to keep an eye on the valleys of your roof. Snow and rain need to flow freely through the valleys into the roof’s gutters. If this valley area in your roof is compromised the roof will be susceptible to leaks. When cleaning out your gutters if you notice that are loaded with the granules that are on shingles you could be looking at replacing your roof within the coming months. Shingles lose more granules when the life cycle of the shingle is near the end. If you start to notice darker colored areas on the shingles or an inconsistent color on the roof that is most likely because the granules have worn away over time. This is a sure sign that a new roof is needed soon. If you are inspecting your homes roof from above and notice that it feels bouncy or spongy it means that the underlying decking has become weak from moisture. If left untreated you will start to notice daylight shining through the roof boards and moisture in your insulation. These are both sure signs that your home needs a new roof as soon as possible. Obviously, it is best to repair leaks in roofing during the spring, summer or fall however, if necessary, roof repair is possible during the winter. Although there are limitations in roofing materials, winter roofing is ever bit as possible as it is in the spring, summer, and fall. It is worth repairing or replacing a roof in the winter if damage to the home is occurring. If you notice a leak or damage to your roof during the winter months, it needs to be replaced or repaired to prevent damage. The smallest of leaks can cause incredible damage to the structure of your home. Roof leaks are worsened by the expansion and contraction of roofing materials during the constant freeze and thaw that occur during the winter months. Small leaks turn into major leaks almost overnight. Yes, roofers work during the winter months. Roofers are used to extreme weather whether in the sweltering heat of the summer sum or the freeze of the winter, roofers are hard at work. There are pros and cons to working in both environments. Roofing materials all react differently in conditions under forty degrees. These materials should not be installed in the winter. Instead, roofing contractors use materials that can be installed at any time of the year, no matter what the weather. Two types of flat roofing systems can be properly installed in the winter, PVC and TPO. Instead of adhesives, thermoplastic single ply flat roof products are mechanically installed, and the seams are hot air welded. Rubber roofing, an alternative to thermoplastic, are not a good option during the winter months when temperatures are below forty degrees because the adhesive used to install them will not seal. The adhesive will end up freezing and not bond. It is important to use the proper material for the season in which you are having a new roof, replacement roof, or roof repair completed. The most common material that roofing contractors use on sloped roofs is asphalt shingling. It is possible for asphalt shingles to be installed during the winter months however they must be careful not to bend the shingles. Asphalt shingles require a proper seal between the overlapping shingles. In order to bond the shingling needs heat from the sun. When asphalt shingles are installed in the winter they will not properly seal until warmer weather sets in. Asphalt shingling is susceptible to ice dams. Ice dams are large ice buildups that form at the eaves of the roof. They are caused from improper attic insulation and poor attic ventilation. Installing an ice and water shield membrane helps alleviate ice dam leaks. The sun’s heat is also needed to adhere the material to the roof decking. Metal is one roofing material that can be installed in the winter, no matter what the temperature, without compromising quality. Metal roofing materials do not crack and allows for expansion and contraction even in cold temperatures. Roofing contractors use premium, breathable, synthetic underlayment to contend with moisture from improper ventilation. Modifications to ventilation should be done when a roof is replaced to prevent damage from ice build up no matter what material is used. Winter is in full swing here in Southeast Michigan. The harsh weather winter throws at us during these next three months is especially hard on your homes roof. The presence and continual thawing and refreezing of snow and ice tends to create roofing issues that can be quite costly to repair when not addressed properly. Our roofing contractors will address common problems that your roof may face during the winter season. Condensation occurs when warm air meets with cold surfaces. When an attic is not properly insulated condensation can form and lead to mold and mildew that damages the interior structure of the home. In order to prevent condensation homeowners must make sure their attics have proper ventilation. When a roof is inadequately ventilated damage can occur to the roof or roof decking. It will also promote ice dams, all of which will shorten the lifespan of your roof. Flashing refers to the metal strips that are on the front edge, corners, and ridges of the roof, around the chimney, and the skylights. Leaking flashing is a common issue of sloped roofs. If flashing is not properly installed or we are experiencing a common Michigan winter storm the flashing can start to pull away which can lead to leaks. To prevent this the flashing on your homes roof should be inspected every six months to avoid this common problem. Although wind storms are not common in Southeast Michigan, they do happen. Strong wind speeds can loosen asphalt shingles. If you start noticing little bits of roofing on the ground it is important to contact the professional roofing contractors at Kearns Brothers to have your roof inspected. The sooner the shingles are replaced the less damage that will occur. One of the biggest benefits of living in Michigan is the number of trees that surround us. Trees are both a blessing and a curse when it involves your home. Large trees add privacy to the landscape but also can cause damage if left untrimmed. Overhanging tree branches can end up damaging the surface of the roof by scraping the protective layer on the shingling. Falling branches can also cause problems for homeowners. In order to protect your homes roof from damage it is important to keep branches trimmed. This also helps to prevent small critters from getting up on the roof. Ice dams are a common issue that homeowners in Southeast Michigan have to deal with. An ice dam is when the upper areas on an icy roof start to thaw while the lower perimeter of the roof are frozen over. Snow and ice continue to melt from the warmer sections of the roof and refreeze when they come in contact with the lower section of the roof and gutters, thus creating an ice dam. As the water continues to flow it can pool behind the dam which can cause a leak. Ice dams are impossible to eliminate however, with proper attic insulation and ventilation, they can be curtailed. What Are the Most Common Roofing Problems for Michigan Homeowners? Your homes roof is one of the largest and most important exterior features of your home. It is easy to forget about because it is not an element of your home that is in your face screaming for attention. It is important that homeowners do not neglect their roofs. Issues with your roof are easily masked, they are not easy to spot especially from the ground. It is important to catch issues with your roof before they turn catastrophic. Roofing contractors have years of experience and industry knowledge that allows them to have a better grasp at what they are looking for when they are inspecting a homeowner’s roof. This is not to say that you as a homeowner shouldn’t take time to inspect your homes roof bi-yearly as you clean out the gutters, it just means that a professional should also be involved in the inspection process at least once a year. They will be able to detect issues earlier than any DIY homeowner thus saving the structural integrity of your roof from severe damage. The ideal maintenance schedule for your homes roof consists of bi-yearly inspections from the homeowners and an annual inspection from a professional roofing contractor. Another inspection is needed if your home has been involved in a severe storm. There are many things that can go wrong with your roof however, regular repairs and keeping up on normal care your roof can out last, it’s warranty. Check for mildew, mold, peeling caulk, holes, sagging, or missing shingles. These are all obvious issues that there is a problem that needs to be fixed. This is the most common problem that our roofing contractors report, improperly executed roofing repairs. Homeowners like to believe they can save a ton of money by fixing issues on their own. This is however not always the truth. Yes, homeowners are highly capable of attending to many maintenance issues that pop up around their homes. Roofing however is not one of those areas where we believe a homeowner should take repairs into their own hands. Your homes roof is what keeps the structural integrity of your home safe from the outside elements. Without a roof, well you can just imagine what the interior of our homes would look like. No matter what the season, Michigan homeowners are familiar with inclement weather issues. Spring brings heavy rain, winter brings heavy ice and snow, with fall comes rotting leaves and debris and then there is summer where we can go from 100 degrees and 100 percent humidity to thunderstorms with winds that can be greater than 60 miles an hour. If your area experiences a substantial storm it is important to clean off the debris and call in a professional for an inspection. No matter if you have a shingle roof or a metal roof, if you are experiencing a leak, you have a major problem. Your homes roof is its lid. It is meant to keep the elements out. When this is compromised it is crucial, to minimize damage, that your roof is fixed properly and FAST! Moisture that is allowed to build up also can prevent problems such as mold and wood rot. It is not only important to fix the roof but also to perform proper drying and clean up to prevent further issues. In order to truly make sure you are hiring a reputable roofing contractor always make sure to work with someone that comes recommended from a friend, neighbor, family member, or co-worker. Word of mouth referrals are the best way to hire professionals as they have previously done work and are being recommended. It is important as well to perform a little background research on your own as well. Be sure to check Google reviews, contractor licenses/insurance, and their standing with the BBB. Author adminPosted on January 23, 2019 January 23, 2019 Categories Kearns BrothersTags local roofing companies, residential roof replacement costs, roofing contractorsLeave a comment on What Are the Most Common Roofing Problems for Michigan Homeowners? One of the most neglected areas on the exterior of a home is the roof. Many homeowners don’t notice problems with their roofing until it has turned into a real issue. Maintenance, although important, is not often done yearly, leaving small roof repairs to become major issues. Homeowners often have a lot of questions by the time they are reaching out to the roofing contractors of Kearns Brothers. Compiled below is a list of questions and answers to the top roofing questions we are regularly asked when seeking roof repair or roof replacement services. How Will I Know It Is Time to Replace My Homes Roof? The age of your shingle roofing is one of the most tell tale signs your home needs a new roof. Most shingle roofs have a lifespan of between twenty to thirty years without issue. Regular roofing maintenance can help increase the longevity of shingles and underlayment. Older roofs often have visual signs that it is time to consider replacement. If you notice curling or buckling shingles, missing shingles, leaking, or sunlight coming through attic boards it is time to call the roofing experts at Kearns Brothers roofing experts. Is a Shingle Roof Something I Can Install on My Own? Many homeowners think that they can save money by replacing their homes roof. Although it is possible for homeowners to replace their own roofs, we don’t recommend it. The process to remove and replace shingles is time consuming. If roofing materials are left without shingle protection for too long the underlayment will take on moisture which can lead to problems. Also, let’s face it, homeowners are notorious for getting in over their heads when it comes to DIY projects, especially large scaled ones such as replacing a roof. While some home improvement projects can be done in time and are completely possible for DIY homeowners, roofing is not one we would recommend tackling. Proper roofing is done through years of experience and decades of knowledge, both which the roofing experts at Kearns Brothers offer to homeowners throughout Southeast Michigan. There is a lot that goes into determining how much a roofing expert charge to replace a homes roof. An accurate estimate will be given once roofers are able to determine the square footage of your home, the type of roofing material that will be used, the number of stories and pitch, accessibility to the roof, time frame for job to be completed/labor, and such all need to be considered. What Is the Time Frame When Getting Your Roof Replaced? The same factors that go into determining the cost of a new roof are used in calculating the time frame for installation. The extent of roof damage and the climate where your home is located also can affect the time frame for having a roof replaced. Expect a new roof to be installed over the course of a few days. Some roofs can take a couple of weeks to install but this is rare. What Type of Material Is Best When Roofing My Home? How much will each type of roofing cost to install? Does the roofing material hold up under the most extreme weather conditions in the area? What roofing material will compliment my home best? 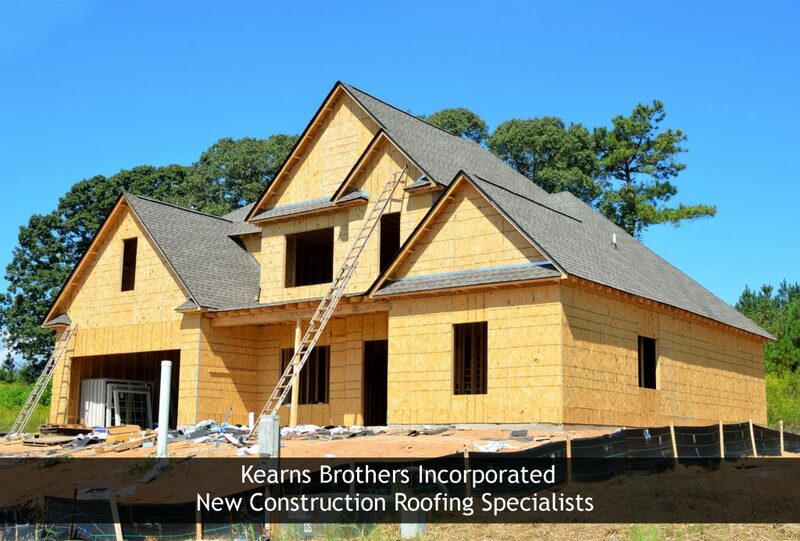 No matter whether you are building a new house, having your roof repaired, or replacing an existing roof the experts at Kearns Brothers have you covered. Not only do we offer a wide selection of roofing accessories, we also offer gutter installation, and offer professional chimney repair, rebuilding, and installation. Your homes roof is under constant attach from several fronts. If you are not careful you can end up with costly repairs that could have been avoided. You may be surprised to know that wind and hail, normal weather elements that we associate with roof damage are not the biggest threats to your homes roof. In fact, the two factors that can do far more extensive damage are heat and humidity. It is wise to hire a roofing contractor to perform a yearly inspection on your homes roof. This will help homeowners catch potential dangers in the homes attic and rafters before it becomes overwhelming and costly to repair. Roofing contractors are experienced in seeking out damage that is caused from excessive heat and moisture build up. If they find you are dealing with potential roof damage they can remedy the situation before you as a homeowner ends up with a costly repair. While roof vents are installed to help prevent damage caused by the buildup of excessive heat if the vents do not work properly you could end up with the rafters, decking material, and roof joists damage caused by expansion due to the heat. The sun can also cause damage to the flashing whether it is made or metal or plastic, this could lead to moisture getting in. The heat can also cause the shingles on your house to shrink and this could lead to the nails to pop and this will allow more moisture to get. Moisture that can penetrate your roof and getting into the attic space can end up doing a surprising amount of damage to your home. Unless you are someone who goes up into the attic frequently, it may be quite some time before you are able to discover the problem. There are two major issues that can be caused by excessive moisture: mold and condensation. When moisture gets into your attic space from under your roof the damage could remain hidden for many years. The excessive moisture can easily cause mold to begin growing on the all the wood and sheetrock where ever it can get in. Depending on how long it takes to find the damage it could end up causing extensive damage to your home before you have any idea. Damage caused by condensation is generally is thought to come from bathroom vents that have allowed the warm, moist air to get into the attic area. It can also come from leaking dryer venting system that allows the warm air to also enter the attic. If you have noticed any mold growth you would want to eliminate the mold and then add additional insulation. Owning a home is synonymous with home improvements and maintenance. The perfect time to take inventory of what needs to be done around your home in order to keep it running full speed ahead is during the first month of spring. This is especially true with the homes exterior. The snow has melted meaning that the landscape and roof are no longer covered and can be thoroughly examined. Your home has gotten through the tough months of winter and will start to show signs of wear that will need to be taken care to prevent further, more expensive repairs or replacements later down the road. As with all home improvements, maintaining your home is important and it is crucial that any maintenance and repairs are done by professional contractors that are licensed and insured. Your homes roof is one of its most important features. It provides necessary protection to the structure of the home and is also your families first defense against the harsh winter elements. What this means is that come spring your roof is one of the most important regions of your home to maintain. Dead decaying leaves have made their home on your roof for the last six months. Moss has been given the perfect opportunity to make a home. Now only is it important aesthetically to take care of the debris it is important to the overall condition of your roof. By hiring a professional roofing contractor to inspect your roof you are guaranteed that cracks and leaks are found. Often homeowners have no idea what to look for when it comes roof damage. Professional roofers will check the roofs vents, louvers, flashing, and roof valleys to ensure that the caulking is intact and free of damage. Shingling will be checked for blistering, buckling, missing shingles and more as well. Maintaining your roof is a lot more practical than replacing it. By maintaining the existing roof, you are looking at expanded the lifespan of your roof well past the manufacturer’s warranty. Gutters are another element of the exterior of your home that is crucial in protecting the structure of your home from water damage. Gutters must be cleaned regularly as debris that can build up will prevent water from draining properly. Water that backs up within the gutter will find it’s way under the shingling and into your home if not maintained. Loose or leaking gutters should be repaired as well. Chimneys are many peoples saving grace through the long, cold Michigan winters. It is important that after being used non-stop throughout the winter months that your chimney is given special attention. Chimneys should be examined and repaired. It is also a good time to have your chimney cleaned professionally. Soot build up can often hide areas that need maintenance. To preserve summer fun have your deck inspected at the beginning of spring. It is a great time to check for loose boards, soft wood, or signs of damage from water. You can also determine from the amount of discoloration if the deck needs to be resealed. Spring is a perfect time to prepare the deck for when temps warm up and stain and sealant can be applied. Spring comes along to wake us from our long winter slumbers where we can procrastinate and put things off until the temperatures warm up. Spring temps allow exterior work to be done without the baking sun of summer. Maintenance done in the spring also means time spent enjoying the Michigan summer instead of weekends stuck at home while work is done on your home. As your landscape awakens and buds start to form throughout your homes landscaping call to schedule a professional exterior home inspection to perform the necessary maintenance on your home.